England wicket keeper Jos Buttler has enjoyed a very memorable summer having won The 2015 Ashes Series against a talented Australian team. 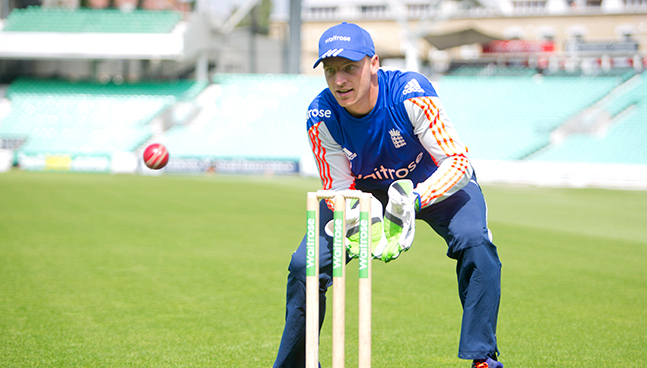 We caught up with the England star as he joined former England captain Alec Stewart to pass on their tips to three budding young cricket stars in a wicket keeping masterclass at The Kia Oval. Jos and Alec share their experience on the best ways to keep wicket to both fast and spin bowlers as well as discussing the crucial role that the wicket keeper plays within the cricket team.